Set in Victorian London, with characters real and imagined, The Map of Time is a page-turner that boasts a triple play of intertwined plots in which a skeptical H. G. Wells is called upon to investigate purported incidents of time travel and to save lives and literary classics, including Dracula and The Time Machine, from being wiped from existence. What happens if we change history? Félix J. Palma explores this question in The Map of Time, and he weaves a historical fantasy as imaginative as it is exciting, a story full of love and adventure that transports readers to a haunting Victorian London for their own taste of time travel. ANDREW HARRINGTON WOULD HAVE GLADLY died several times over if that meant not having to choose just one pistol from among his father's vast collection in the living room cabinet. Decisions had never been Andrew's strong point. On close examination, his life had been a series of mistaken choices, the last of them threatening to cast its lengthy shadow over the future. But that life of unedifying blunders was about to end. This time he was sure he had made the right decision, because he had decided not to decide. There would be no more mistakes in the future because there would be no more future. He was going to destroy it completely by putting one of those guns to his right temple. He could see no other solution: obliterating the future was the only way for him to eradicate the past. Palma is clearly an accomplished storyteller - the novel's fast pacing, imaginative exploits, and unexpected twists and turns make each story a fascinating piece in its own right; combined, the work is both an utterly perfect summer read and an extended meditation on the permeability of time and the limitations of technology, as seen through the lens of the Victorian age. Palma's narrator is sophisticated, an amalgamation of Dickensian omniscience and the knowing wink of postmodernism. (Reviewed by Norah Piehl). Starred Review. Palma makes his U.S. debut with the brilliant first in a trilogy, an intriguing thriller that explores the ramifications of time travel in three intersecting narratives. Starred Review. Readers who embark on the journey... will be richly rewarded. Starred Review. Lyrical storytelling and a rich attention to detail make this prize-winning novel an enthralling read. Strange and wonderful. Magical and smart. Félix J. Palma has done more than written a wonderful novel, he's concocted a supernatural tour de force. Time travel, tragic love, murder and mystery all combine in what is nothing short of a surprising, satisfying and mesmerizing read. The Map of Time recalls the science fiction of Wells and Verne, and then turns the early masters on their heads. A brilliant and breathtaking trip through metafictional time. The Map of Time is a singularly inventive, luscious story with a core of pure, unsettling weirdness. With unnerving grace and disturbing fantasy, it effortlessly straddles that impossible line between being decidedly familiar, and yet absolutely new. 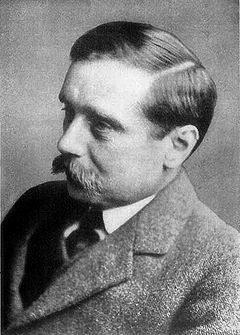 H. G. Wells is not only a prominent character in The Map of Time; he's also a famous novelist, sometimes called "The Father of Science Fiction." Born on September 21, 1866 in Bromley, a small town southeast of London, Herbert George Wells grew up quite poor but, after an incident in 1874 in which he broke his leg and was forced to rest in bed, became an avid reader, which, later grew into a passion for writing. He attended a small local private school from the age of seven but, due to his family's financial troubles, he left at the age of 14 to become an apprentice draper (a dealer in fabrics and sewing materials).